Non-Clouding (31% Protein) With SPIRULINA & Vitamin "C"
Suitable for use as a standalone filter. Suitable for use as standalone filter. 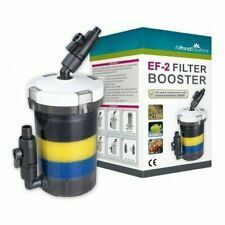 EF External Filter Booster. EF-2 External Filter Booster. KOI PondDechlorinator Chlorine Removal. Aquafilter De-Chlorinators are used to remove harmful chlorine, Chloramines and other impurities from mains tap water when refilling a pond. Up to 99% removal of chlorine @ 15 litres/minute flow rate, based on 2ppm chlorine level in incoming water (1-2ppm is considered average). Suitable for fresh and salt water aquarium tank. Still in original box with instructions. 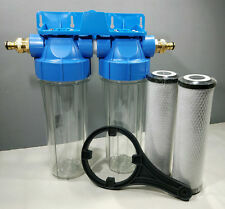 The EF Filter Booster can also be used as a standalone filter, with the addition of a suitable pump. Product supplied in white canister - transparency for illustrative purposes only. Increases external filtration capacity. 1 x Air Filter Foam Sheet 12'' x 9"
KOI PondDechlorinator Chlorine Removal. Aquafilter De-Chlorinators are used to remove harmful chlorine, Chloramines and other impurities from mains tap water when refilling a pond. Up to 99% removal of chlorine @ 7 litres/minute flow rate, based on 2ppm chlorine level in incoming water (1-2ppm is considered average). Swan mussels are native to the UK and live in rivers and lakes, so they are fully hardy in the coldest of winters. Swan mussels are a great addition to any pond or lake as they feed on plank-tonic algae (green water) which is a natural way to help the clarity of the water. 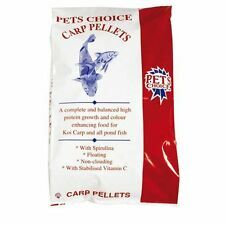 Hopewells Koi & Pond Pellets Premium Grade 30% Protein (10KG). 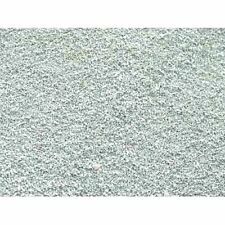 These Koi & Pond pellets are readily eaten by all fish. Nutritionally Complete & Balanced Floating Pellets. Option 3: Leave with a neighbour. 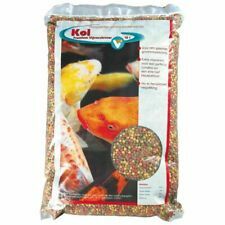 1250g Nishikoi Growth Large Pellet Pond Fish Food . 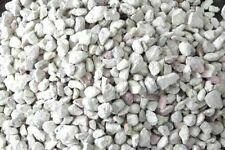 Nishikoi Growth Pellets is a premium floating food suitable for all pond fish. L@@K - Buy B4 1pm For FREE NEXT DAY DELIVERY !!!!!! Complete feed for all Koi. content 7kg. Marke sera. High water temperatures and strong sunlight support algae growth. Therefore, easily digestible food is important! 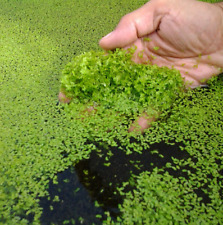 Its balance between energy and protein in a total of slightly reduced protein content of the loop for best-possible growth of the pond inhabitants with minimum water pollution makes. Anti corrosion and provide water of the premium quality for your fish tank. Net weight: 250g. Note:Light shooting and different displays may cause the color of the item in the picture a little different from the real thing. 1gram will remove approx 1.5mg of ammonia. Grade Of This Foam10 ppi Course / Coarse Foam. Grade Foam 10 ppi. Grade Foam 15 ppi. Grade Foam 30 ppi. Grade Foam 45 ppi. Diy Course Foam Sheets. Foam Filter. 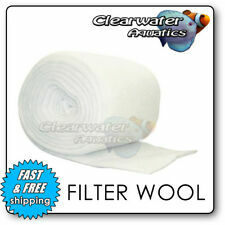 Provides Efficient Water Flow With Less Clogging For Long Lasting Filtration. De-Chlorinators are used to remove harmful chlorine, chloramines and other impurities from mains tap water when refilling a pond. Up to 99% Chlorine Removal . Up to 99% removal of chlorine @ 5 litres/minute flow rate, based on 2ppm chlorine level in incoming water (1-2ppm is considered average). 15 Litre (1680g) Sack. Below 10°C, stop feeding Tetra Pond Sticks and switch to Tetra Pond Wheatgerm Sticks. 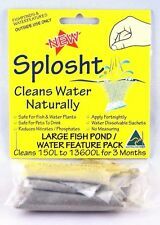 TETRA 15 LITRE POND STICKS FLOATING FISH FOOD . DIY Foam Sheets The Sponge Can Cut To The Size Needed Aquarium Or Pond Filter. Carbon Foams Filter. Bayer Bays 3 Sheets. This Foam Chemically Filters The Water Of Impurities. Size Of One Sheet. TETRA AQUASAFE FISH POND TREATMENT 500ML (Posted Today if Paid Before 2pm) AquaSafe instantly turns tap water into safe, healthy, nature-like aquarium water. Add 5ml per 10 litres of tap water. ---Eliminates chlorine and chloramines ---Neutralizes heavy metals ---Supports the fish's protective mucus layer, which may be damaged during maintenance ---Supports the fish's ability to cope with the stress ---Contains natural extracts for clear, healthy water ---Adds iodine, magnesium, and vitamin B for health and vitality. 1 x Biochemical Filter Foam Fish Pond Filtration Tank Aquarium Pad 12" x 9"
Grade Of This Foam45 ppi Fine / Fine Foam. Grade Foam 10 ppi. Grade Foam 15 ppi. Grade Foam 30 ppi. Grade Foam 45 ppi. Diy Fine Foam Sheets. Foam Filter. Bayer Bays 1 Sheet. NISHIKOI 1450g NIIGATA PROFESSIONAL SMALL PELLETS . NISHIKOI 1450g NIIGATA PROFESSIONAL SMALL PELLETS. Formulation includes Nishi-Clay, Propolis and Nishi-Guard to boost koi health and Spirulina to enhance koi colour. 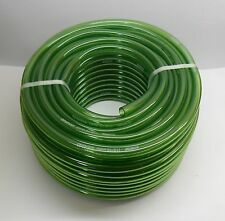 For Fish Pond Dechlorinator. Removes chlorine and organic substances. · Contaminant removal: chlorine, VOC's. 2 x Carbon Block 10". We will not accept warranty claims for DIY fitting of components by none trained persons. You are buying 4 Large Swan Mussel (natural filter) collected from one of our established lily ponds. Swan mussels are native to the UK and live in rivers and lakes, so they are fully hardy in the coldest of winters.